This book, third in the series, is on the budgetary process in Bangladesh and is written from the perspective of the poor. Based on a participatory research of IDPAA, PROSHIKA and conducted by Shamunnay, the book proposes an alternative framework of a pro-poor, gender-just and environment-sensitive national budget for Bangladesh. The study finds that despite some changes, the current budget-making process is complex, inefficient and non-transparent. It argues for a set of institutions that would be necessary for creating a favourable policy for poverty reduction. Bangladesh is currently celebrating the silver jubilee of its birth as a nation-state. It is time for self- reflection. To undertake the daunting task of self-examination, the book brings together analytical dimensions and ideas of some eighteen distinguished authors of Bangladesh who are well-respected in their own fields. The issues they address cut across both domestic politics and external relations. This book is the result of an empirical study aimed at analysing the results of the three parliamentary elections hold in Bangladesh under caretaker administrations since 1991, with special emphasis on the October 2001 election. It carries out an objective analysis of various aspects of the election including possible determinants of party performance and voter turnout and the impact of rebel candidates and other contextual variables on the outcome of the election. To-date, no study has been undertaken to offer an objective analysis of the election results. There was widespread pessimism about the development prospects of Bangladesh during the period following independence. Contrary to the prevailing concerns, however, Bangladesh has achieved considerable success and performed well in several areas of development. Improvements in human development have been particularly remarkable. The economy has also moved to a higher growth path over the last two decades. Not only economic growth has picked up, but it has been less volatile and more stable, compared to most South and East Asian countries. 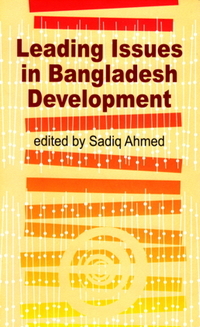 The present volume on Emerging Issues in Bangladesh Economy: A Review of Bangladesh's Development 2005-06, is the tenth publication under the pioneering initiative of the Centre for Policy Dialogue (CPD) titled Independent Review of Bangladesh's Development (IRBD). Over the past years, since 1995, the IRBDs, an annual publication of the CPD, have been able to establish a tradition of high scholarship and a credible civil society perspective on key issues of developmental concern and interest in Bangladesh. 'Capacity is the ability to perform appropriate tasks and fulfill roles effectively, efficiently and sustainably. To achieve any developmental objective individually and collectively appropriate capacity of both at the individual and organizational levels is important. 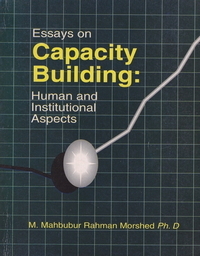 Capacity of both at the individual and organizational levels is important. Capacity building is the combination of efforts, initiatives and performance to enhance and utilize skills and capabilities of people and organization or institution at local, national, regional and global levels, aims at sustaining developments. Lacking neither in will nor in initiative, does a majority of the rural population in the developing world nevertheless continue to live bleak lives full of deprivation and vulnerabilities. Today, poverty remains the single most important challenge for much of the developing world. Viewing poverty as a multidimensional reality, this book provides a penetrating look at this most serious of contemporary problems. Taking Bangladesh as a case study, it highlights the many facets of poverty as a state and as a process. Building on a deep understanding of the transformative roles that digital technologies, such as the mobile phones, have already played around the world, this book, Going Digital: Realizing the Dreams of a Digital Bangladesh for All, takes us on a journey that could catapult Bangladesh from the age of old-style industrialization to the emerging new era of virtualization. The Internet and wireless communication technologies are rapidly obliterating distances or physical location as a relevant factor in how we conduct business in our personal and professional lives. Bangladesh has shown a lot of promise and resilience by pushing ahead with the national development agenda, reflected in declining poverty and rising economic growth. However, events over the past 12 months suggest that the country’s macroeconomy was under strain. It is therefore imperative that the government should take quick actions to correct the situation. While, the restoration of macroeconomic balance is an immediate priority, Bangladesh continues to remain a low income developing economy with a substantial long-term development agenda.